Is Rose’s diary hiding the clues to a grisly unsolved murder? 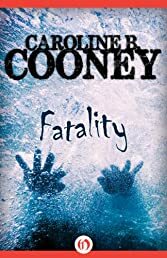 Fifteen-year-old Rose Lymond swears to the police that her crimson leather-bound diary doesn’t contain any information about the terrible murder at the Loffts’ lake house that fateful weekend four years ago. The diary is her private, personal property. When Rose’s diary is confiscated by police, she steals it back and destroys some pages, no matter the consequences. Is this simply a case of teenage vanity gone awry? Does the diary contain embarrassing seventh-grade gossip and crushes? Or is Rose hiding something vastly more sinister? As Rose attempts to protect her secrets, she is drawn back to a murder she may not even know she holds the key to solving. This ebook features an illustrated biography of Caroline B. Cooney including rare images and never-before-seen documents from the author’s personal collection.